Allah’s (Most High) Rahma is infinite. In less than the blink of an eye, His Rahma (mercy) renews itself and further penetrates existence. Look at your hands – touch them. What do you feel? Smooth skin, bones, joints, and veins. Look how Allah (Most High) constructed your hands. The small veins of your hands lay on the service, while larger veins lay deeper. His Rahma is reflected in this, as if it were that your larger veins lay on the surface, you would be in grave danger of injury. Think about your sight. Allah (Most High) has limited your sight, but this limitation is His Rahma. If you were to see all that there was to see, you would not be able to even drink spring water from a store bought bottle, as all the microscopic elements of water would be transparent to you, moving around in the bottle. Think about your hearing. Allah (Most High), from His Rahma, has limited your hearing as well. Every process in your body makes as sound, but yet we are unable to hear the closest sounds to us! If our hearing was not limited, we would constantly imbued with sounds from within our own body. We must think and reflect on His endless Rahma. 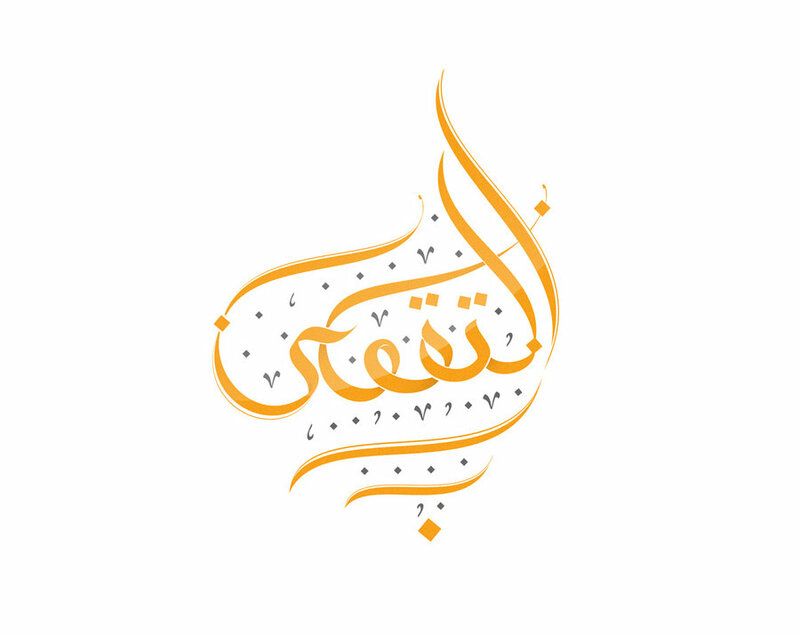 His Rahma is our only constant, and the only constant that increases consistently; the more we think and reflect, the more we will begin to realize His all-encompassing Rahma. May Allah (Most High) raise your maqam, and May He envelope you always in His Rahma. Tawakkul means to rely upon another, to appoint a trustee and to put one’s trust in that trustee. One of the beautiful names of Allah is ‘Al-Wakeel’. This name has the meanings of ‘the one who takes care of matters which have been referred to Him, (in a most suitable way), and the One who takes care of affairs in the best way, the One who is relied upon, and the One who controls and who rules over everything’. It is a must that the sole Source to be relied upon in all matters is the immortal, everlasting Absolute One of Power. It would be meaningless to trust somebody who is in fact the opposite. “If you were able to rely on Allah properly, you would be pro- vided for just like birds who leave their nests hungry and return full” (Tirmidhi, Zuhd, 33/2344; Ibn Majah, Zuhd, 14). The word ‘teslimiyet’ or submission has the same root as the word ‘islam’. This is why to truly live Islam and to be a true servant of Allah is only possible through submission. This is because Allah (exalted and glorified be He) is not pleased when His servant yields to any other than Him. “In the name of Allah! I put my trust in Allah. O Allah, I seek refuge in You that I should stray or be led astray, that I should slip, or be made to slip, that I should oppress or that I be oppressed, and that I should show ignorance or be subject to others ignorance” (Abu Dawud, Adab, 102-3/5094; Tirmidhi, Deavat 35). The Kaabah, mentioned twice in the Quran, literally means a cubic object. Notwithstanding its other famous synonyms referred to in the Quran like al-Bayt, Baytullâh, al-Baytu’l-Atîq, al-Baytu’l- Harâm, al-Baytu’l-Muharram, al-Masjidu’l-Harâm, it is often called the Kaabah-i Muazzama, the highly respected Kaabah. In response to a question posed by Abu Dharr (May Allah be pleased with him) (*), the Messenger of Allah ﷺ reveals the first building constructed on the face of Earth as the Kaabah, and the second as Masjid’ul-Aqsâ, the holy mosque of Jerusalem (See Bukhari, Anbiyâ, 10). The valley of Mecca was hence chosen as a holy place since the very beginning of human history. “And when Ibrahim and Ismail raised the foundations of the House: Our Lord! accept from us; surely You are the Hearing, the Knowing” (al-Baqara, 127) (For the details of the incident, see Bukhari, Anbiya, 9). It has also been reported that fires before and after Islam had a part to do with the darkening of the Stone. But there are accounts that the side of the Stone facing the wall of the Kaabah still remained very white. Mujahid narrates that when Abdullah ibn Zubayr (May Allah be pleased with him) demolished the walls of the Kaabah in order to renovate it, he saw that the inner side of the Black Stone was white. “Our Lord! Make of us Muslims, bowing to Your (Will), and of our progeny a people Muslim, bowing to Your (will); and show us our place for the celebration of rites; and turn unto us in Mercy; for You art the Oft-Returning, Most Merciful. After this declaration the Archangel Jibril (Alaihi Salaam) came and showed Ibrahim (Alaihi Salaam) the borders of the Holy Mosque and the distances of Safâ and Marwâ, telling him to erect stones to mark these borders. The Archangel afterward taught him all the rituals and procedures of the pilgrimage. Thereafter, people from far away lands began visiting the Kaabah for pilgrimage, making Mecca the center for the religion of the Almighty, granting the town an important place in the hearts of people. Worshipping in the House of Allah (swt), continued the way Prophet Ibrahim (Alaihi Salaam) had taught up until the spread of idolatry. When idol worshipping became widespread in Mecca, the idolaters filled inside and around the Kaabah with idols. But even then the Kaabah was not renamed after a certain idol, continuing to be called Baytullah, the House of Allah (swt). When Mecca was taken and opened to Islam by the Noble Prophet ﷺ all the idols were demolished, and under the inspection of the Prophet ﷺ, the Kaabah, from both the inside and outside, was cleansed with Zamzam water. This initiated a custom of washing the Kaabah with Zamzam and rosewater every year, perfuming it with musk and amber, and renewing its cover. 2. Siqâyah: Providing the pilgrims with water and beverages, and the maintenance of the Zamzam well. 3. Ridânah: Feeding and hosting poor pilgrims. Becoming entrusted with these duties was considered a great honor and privilege among Arabs. In the time of the Noble Prophet ﷺ these duties were shared among the leading families of the Mecca. Omar (may Allah be pleased with him), the second Caliph, allocated allowances for these purposes, which during the time of Muawiyah (may Allah be pleased with him) became more organized. The Ottomans similarly considered the upkeeping of the Kaabah as being of great significance, providing sizeable allowances for tending to the Sacred House. (*) Abu Dharr’s (may Allah be pleased with him) real name is Jundab ibn Junada. He was known as Ghifari in reference to the tribe of Ghifar from where he originally sprung. As the fifth Muslim, he was a man of piety, contentedness and abstinence, which lead the Blessed Prophet ﷺ to call him the Masih’ul-Islam, i.e. the Isa (Alaihi Salaam) of Islam. Constantly by the side of the Noble Prophet ﷺ, he would look to reap the greatest benefit from his presence, asking what he knew not to the Prophet ﷺ for clarification; accumulating so deep a knowledge in the end that Ali (may Allah be pleased with him) is known to have called him ‘the repertoire of knowledge’. The total amount of his hadith narrations is 281. Breathing his last in Rabaza near Mecca in the 31st year of Hegira, his funeral last was conducted by a small group who laid him to rest. (***) Scholars have commented that if sins can have so great an effect on even a stone so as to leave it black, who knows the intensity of the tarnish they can leave on the heart. Abstaining from sins with utmost effort is therefore a must. (****) Ismail u is recognized as the first person to drape the Kaabah. (Abdurrazzaq, V, 154) Throughout Islamic history, the preparation of the cover of the Kaabah would be seen to by the Caliph, a sultan or the incumbent governor of Mecca. After the passage of the Caliphate to the Ottomans in 1517, the cover of the Sacred House continued to be woven in Egypt for a little while longer. During the reign of Suleyman the Magnificent, Istanbul became the center for weaving its inner cover, added to which was the outer cover, come the time of Sultan Ahmed III. The last cover woven in Ottoman hands to be sent was in 1916, with the rebellion of Sharif Hussain preventing further attempts. Prepared for a period of time once again in Egypt thereafter, the cover is today is made in a factory in Mecca set up specifically for that purpose. The essence and meaning of life is found in taqwâ and living a life of taqwâ essentially means being a true friend of Allah, attaining Paradise and possessing a heart that can understand the deepest depths of Divine blessings. Thus, the truth of taqwâ is that one attains a soul that has been purified of all evil and one turns to their Creator with true faith; this is the only way one can reach Allah. The companions of Allah (may Allah be pleased with them) have described taqwâ in many different ways. The lexical meaning of taqwâ means the avoidance, protection or safeguarding from every kind of evil. That is, taqwâ means the protection of Allah. The term taqwâ means being under the protection of Allah by seeking refuge in Him, avoiding what has been forbidden and abiding by what has been commanded; it means fearing the punishment and the torment of the Glorious One and taking refuge in the shadow of His compassion. Therefore, destroying egoistical desires and developing spiritual aptitude is essential. In other words, taqwâ is returning to the glory of the orders of the Qur’ân and Sunnah, and is the means of eternal bliss in the family, in business and in social life- in short, bliss in every aspect of our lives. Taqwâ is the act of disciplining the soul with the mystery of “He will prosper who purifies himself” (Â‘lâ, 87: 14) It is when we have done this that our hearts will attain contentment in faith, worship, and deeds which Allah approves of. 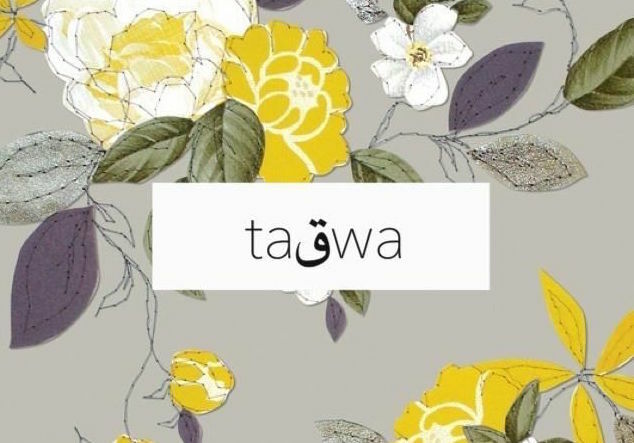 Taqwâ is the believer’s spiritual union with Allah; it is his manifestation of attributes such as compassion, kindness, forgiveness, mildness and perfection of the heart, as well as the seeking of Allah’s acceptance for every deed, every situation and every breath. Taqwâ is the sincere repentance of the person who is continuously seeking forgiveness with both tongue and heart. Taqwâ is the heart being full of affection and the fear of Allah’s Divine punishment. Taqwâ is the preservation of the heart from evil thoughts. Taqwâ means to adhere to the imperative of Allah and His Prophet ﷺ with great love and affection, observing the whole of creation with the compassion and kindness of the Creator, and, being repulsed by anything that is contrary to this, distancing oneself from any situation or action that could damage the soul. Taqwâ is a heart that has been assiduously purified; and for those who are successful in such purification, their heart becomes a treasure with the best temperament. 2. Aiding by commands. This is a condition to be followed by all believers and is the basic level of taqwâ. 3. Having the feeling of being in the presence of Allah at all times. This is the highest level, the true test of knowledge and taqwâ. In the Qur’ân Allah revealed that He is “Nearer to [man] than his jugular vein” (Qâf, 50; 16) and with us as at all times: “He is with you wheresoever ye may be” (Hadîd, 57: 4) This unity means that one is adorned with Allah’s attributes and is aware of His presence at all times. The soul that is adorned with the garment of taqwâ will begin to receive inspiration that direct towards the truth and warn against falsehood and evil; they will realise the real value and meaning of worldly objects. The Qur’ân is a Divine work of art that helps man to resolve every problem he may face. Through the Qur’ân and the Sunnah we can gain peace and contentment. When a person approaches the pinnacle of taqwâ, their perception of the Qur’ân and apprehension of the universe deepens and they become familiar with the wisdom and mystery of the universe. With the singing of the nightingales, the quivering of the rose buds and the steady flow of the streams which bestow the sound of peace, we can gain appreciation of the adornments and blessings of the universe. We begin to understand the spirit of Yûnus Emre when he spoke with the yellow flower, about the interpretation of his own mysteries.